There really is so much more to blowdrying hair than simply getting it dry, especially when you're working with hair that is textured and voluminous. It's an art, and stylist, salon owner, and beauty blogger Tequila Fletcher is an artist. Don't believe the rumors, a well done blowout looks good on any hair type. Naturally curly and coiled hair can be made sleek without sacrificing body and bounce, while straight stands can be lifted an volumized. To prove it, Tequila is sharing with us her step-by-step pro tips for getting a perfect blowout for two very different hair types: natural + relaxed. Her tools of choice? amika of course, the Power Cloud Repair + Smooth Dryer, Straight Up Smoothing Balm, Oil Treatment, and Touchable Hairspray... and we're giving them away! 1) Start off with clean and conditioned hair. 2) Section hair into four sections. 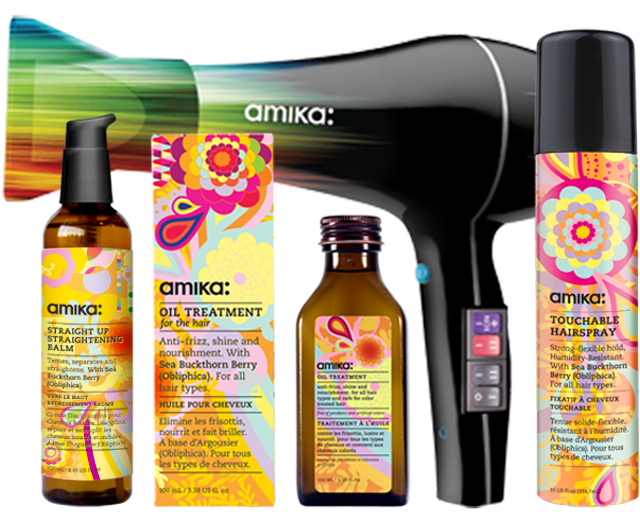 4) Set your amika Power Cloud Repair + Smooth Dryer on a low/medium warm setting and proceed to dry the hair until 80% dry. 5) Clip all but one section of your hair. 6) Set your dryer to a higher and warmer setting and proceed to continue drying your hair using a medium round or paddle brush. Smooth the hair by sectioning small sections until done. 7) FLAT IRON TIME (do if you need to at this point). 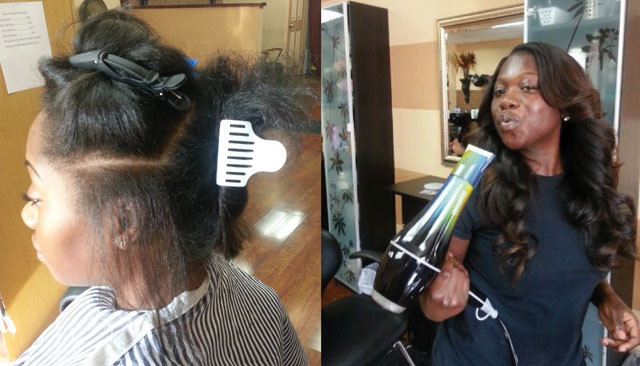 For those of you with natural hair, please make sure you are using a flat iron that heats up to 400º. For those of you with relaxed please make sure your not using heat higher than 300º. Smooth out your hair until finished. 8) Finish your hair using by using a few drops of amika Oil Treatment (if desired) and use the amika Touchable Hair spray set your perfect results. For Facebook: LIKE+SHARE this post. Follow the entry rules below. The more ways you enter, the more chances you have to win. ProTip: Oil is great for many things, but a moisturizer it is not! Moisture is hydration, and can only be achieved with water or water-based products. Using oil as your moisturizer could eventually dry out your hair. 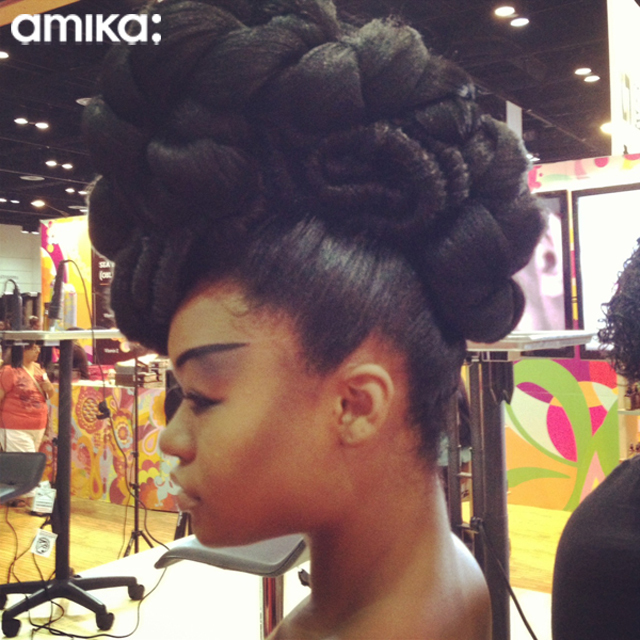 Instead, use amika Oil Treatment as a sealant, to lock in moisture and keep excess moisture out. 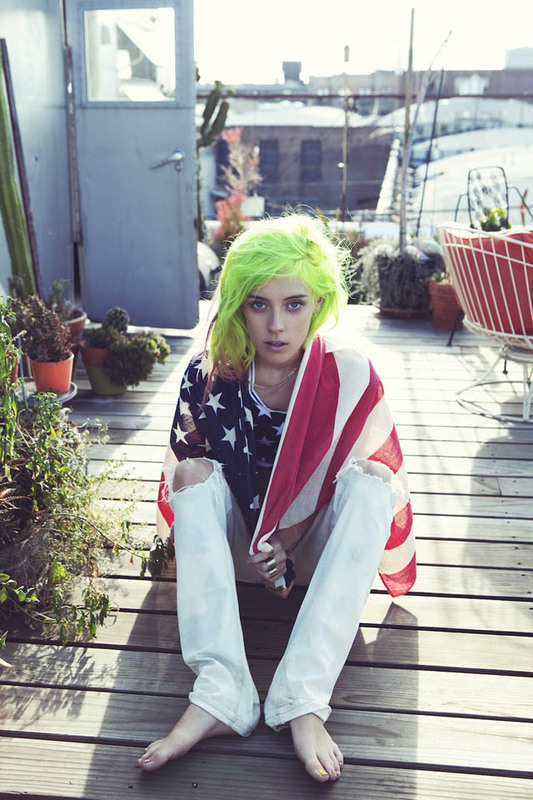 Nothing's traditional when it's graced with the presence of Chloe Norgaard and her infamous neon locks. American designer For Love + Lemons featured Chloe in their recent Summer Lookbook, appropriately dubbed "American Dreamz." 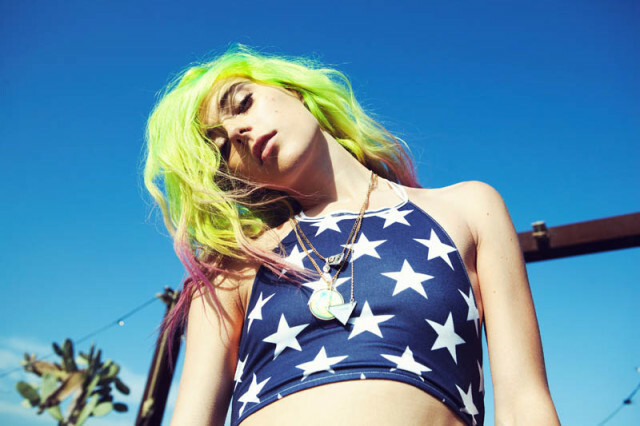 In celebration of the birth of a nation, we share with you a 4th of July inspired lookbook that pays homage to "God Bless America" and green hair. Use a sulfate-free shampoo that will cleanse your hair without stripping it of it's natural oils. 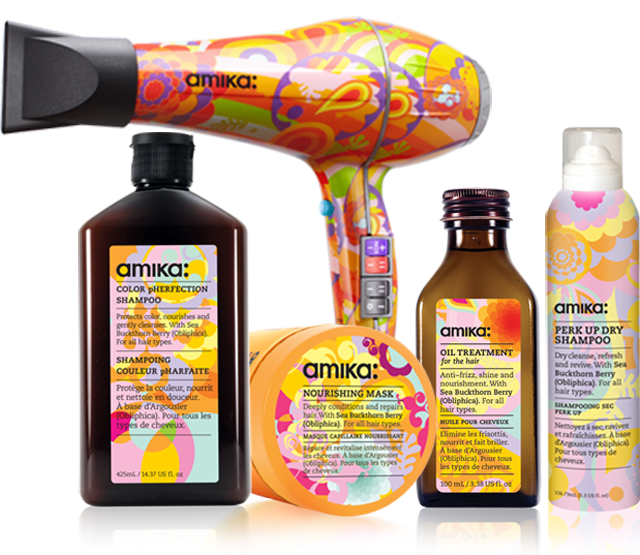 amika Color pHerfection Shampoo will clarify your scalp without leaving your hair stripped + brittle. Shampoo less, shampooing too often can dry out your hair. Instead, opt for a dry shampoo. 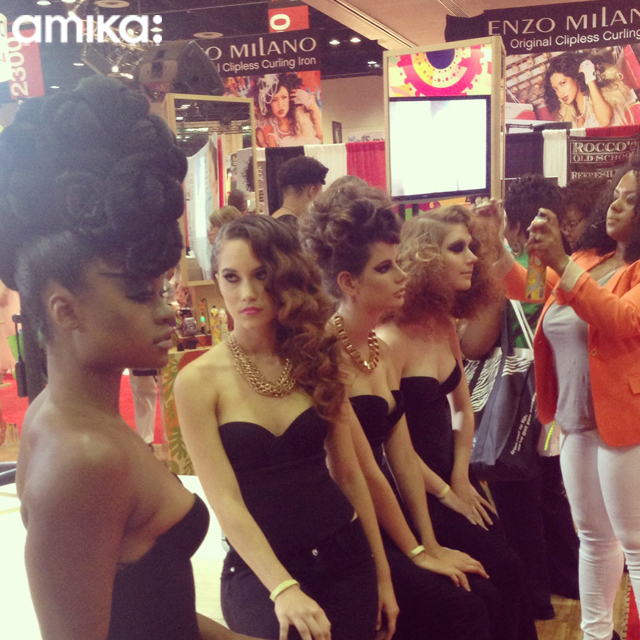 amika Perk Up Dry shampoo will remove excess oil from your hair, adding texture + lift to refreshen your locks. Pre-Poo, as in before-shampoo, to protect your strands. Apply a conditioner or oil treatment to your hair prior to shampooing. Rinse out or leave-in while you shampoo, to prevent shampoo from completely stripping hair while you wash. When possible, air drying is always the healthiest option for your hair. But you can blot with a microfiber towel or T-shirt to reduce friction that can raise the hair cuticle causing frizz. If you are going to use a blow dryer, make sure it's equipped with a negative ion feature. Negative ions will reduce frizz by closing the hair cuticle. The amika Repair + Smooth Dryer has negative + positive ions. Positive ions dramatically reduce drying time, while negative ions leave hair silky and shiny! Diffuse, to evenly distribute heat in a way that is less damaging to hair and that will reduce drying time. Curly girls, listen up please! Diffusers are the way to go when blowdrying curls; use it to cup your curls so they maintain their shape during the drying process. 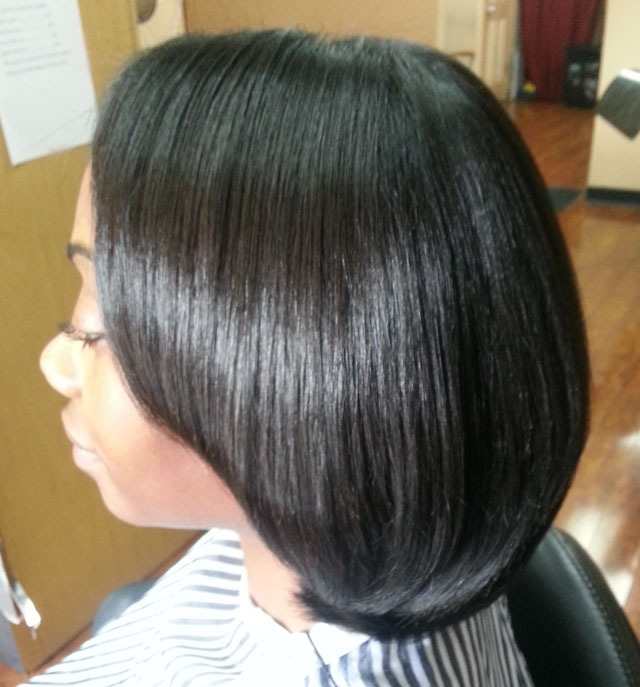 Deep conditioning regularly will restore hair's moisture. Use a deep conditioner like the amika Nourishing Mask at least once a week to strengthen + repair hair. 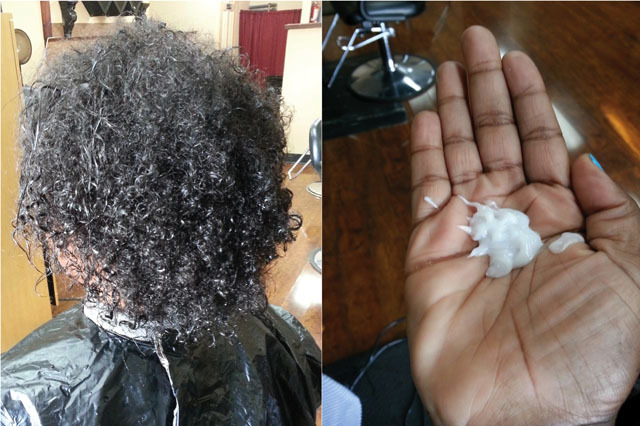 Lock in the moisture from water + conditioning by sealing your strands with an oil/silicone based product. 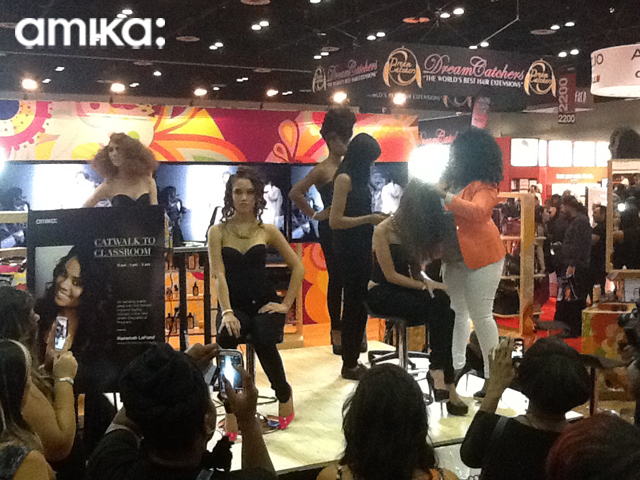 Focusing on your ends, apply a thin coat of a product like the amika Oil Treatment. This will keep hair from drying out, while also protecting it from humidity in the air that can cause frizz. Especially once your hair is dry, the more you fuss with it the more frizz you create! ProTip: Your hair grows from your scalp, so if you’re not sure of your hair type, often times your skin type can be the best indicator. For oily hair: amika Perk Up Dry Shampoo will absorb excess oils leaving your hair feeling cleaner + lighter. For dry hair: Moisture is key, use the amika Nourishing Hair Mask at least once a week to help repair your hair + moisturize.